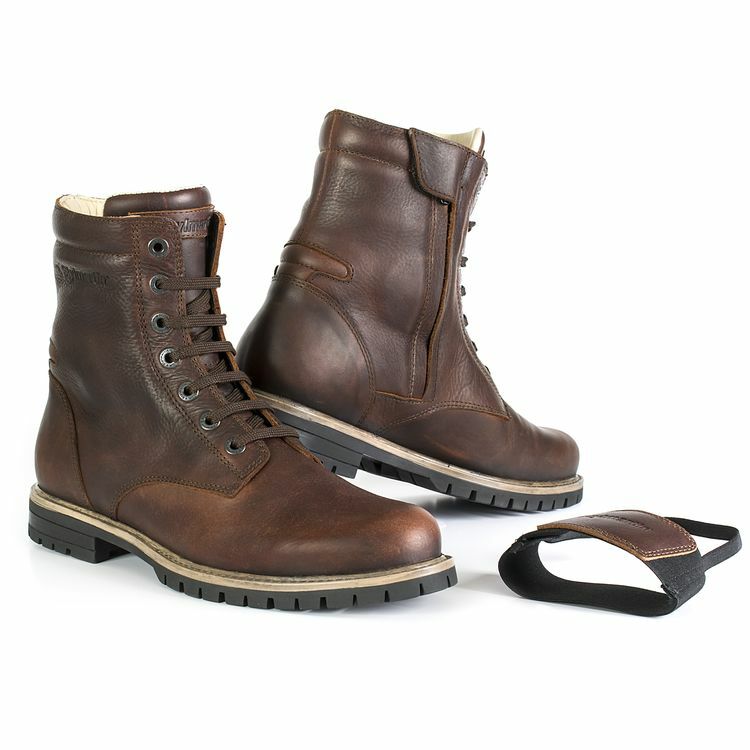 The Stylmartin Ace are cafe racer-inspired boots for the urban rider. With hidden malleolus protection on either side of the ankle and a removable shift guard, the Stylmartin Ace Boots maintain a decidedly casual style that does not betray their motorcycle-ready protection. do these have a goodyear welt? BEST ANSWER: A 160+ year old boot/shoe manufacturing process??? Looks like it to me, but I'm not a cobbler. What is toe protection? Alloy toe?